“Easy” is a well used, and loaded, word. Common sense seems to indicate that anything worthwhile takes effort to achieve. But do all things have to be difficult at every step? Consider for a moment a stone being worn away by water droplets. It is not an easy task, as each small drop seems to make no difference. If you come back in a decade, century or millennium, you would see the hard work the water has accomplished. Minimal effort, albeit for a long time, will leave its mark – literally. So why am I waxing philosophical about the word “easy”? It’s two-fold. The first is because most people think that “authentic” Chinese cuisine takes great effort and is extremely complex – the antithesis of “easy.” The best recipes are usually “home” recipes, and as such have no difficult preparation techniques. It’s just not from our familiar North American homes. The second is that there is a hidden meaning in the word easy. Many equate easy with “quick.” That is not always true. To illustrate, many of the bread recipes on this blog rise for at least 8 hours – some even longer. They're not difficult. They just take time. There are many recipes that take minimal effort, but (like the water droplets) take more time than others. In this way, time can sort of become a “difficulty,” if you’re looking for something quick to eat. This recipe is easy. If you can chop garlic, close a Ziploc® bag and turn on an oven you’re in the clear. You just have to wait 24 hours. So it’s time consuming, but very, very easy. 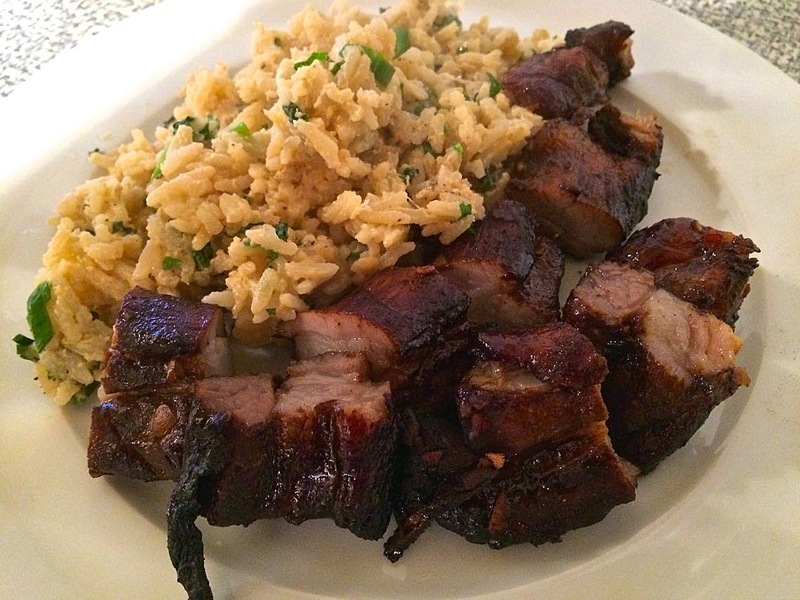 Char Siu is a common dish in many Asian cuisines, including those of China, Southeast Asia, Japan and Pacific Rim countries. The dishes that are served with it are as varied as the influences from each country. I served mine with leftover steamed rice, that was tossed with sautéed garlic and ginger, lime juice, green onion and cilantro – with 2 beaten eggs cooked in the hot rice just for good measure. pork belly "ends." My 1 lb cost under $3. Mix all of the ingredients, except the pork, together in a bowl. 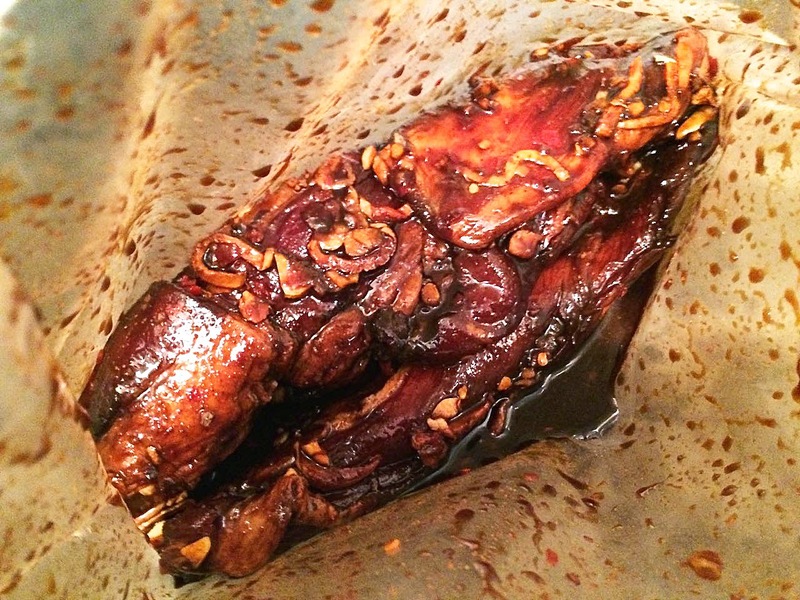 Place the pork in a large resealable freezer bag, pour in the marinade and seal the bag. Work the marinade around on the meat so all surfaces of the pork are covered. Place the sealed bag in the refrigerator for at least 8 hours, or even 24 if doing the day ahead. 24 hours is best. 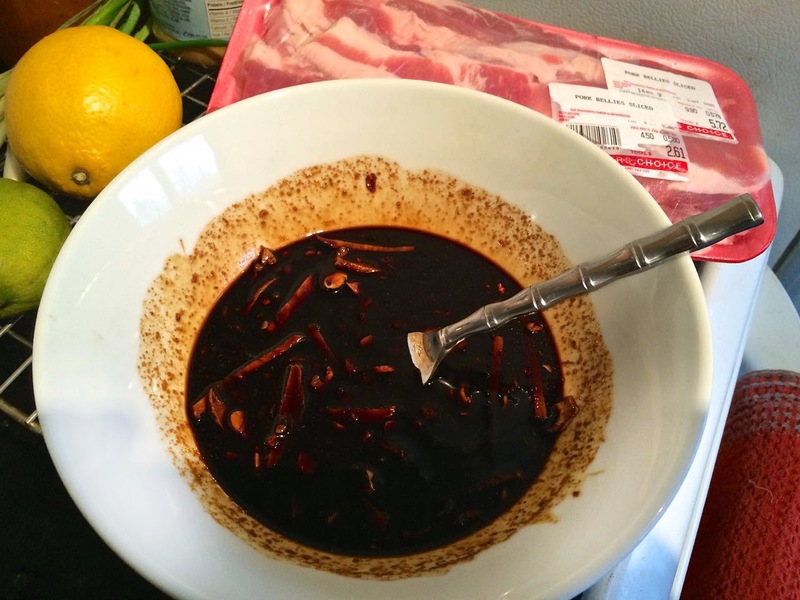 Work the marinade around on the pork at least once during this time. Preheat the oven to 400°F. Place a baking rack on a rimmed cookie sheet. * The rack allows air to circulate completely around the meat. 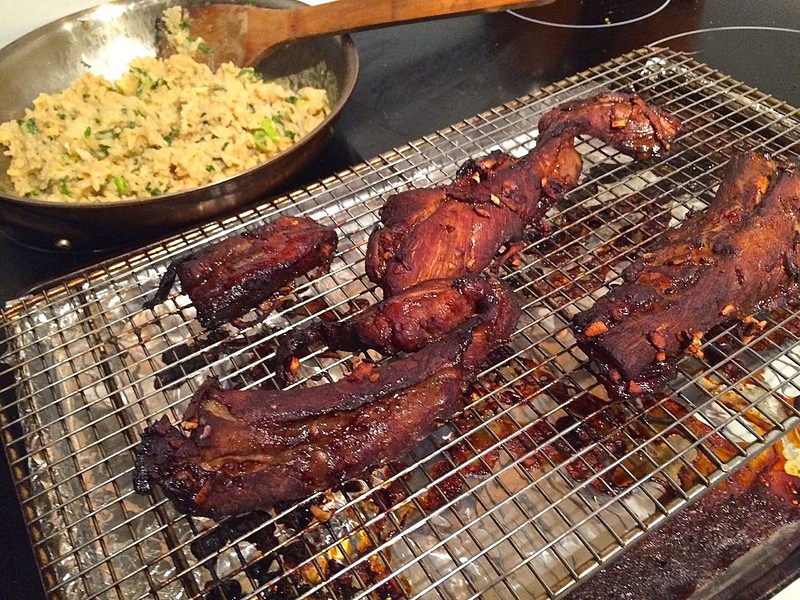 Remove the pork from the marinade and arrange on the rack. Bake for 30 minutes, or until cooked. Serve with the Chinese style side dish(es) of your choice. * To ease cleanup, line the cookie sheet with aluminum foil.